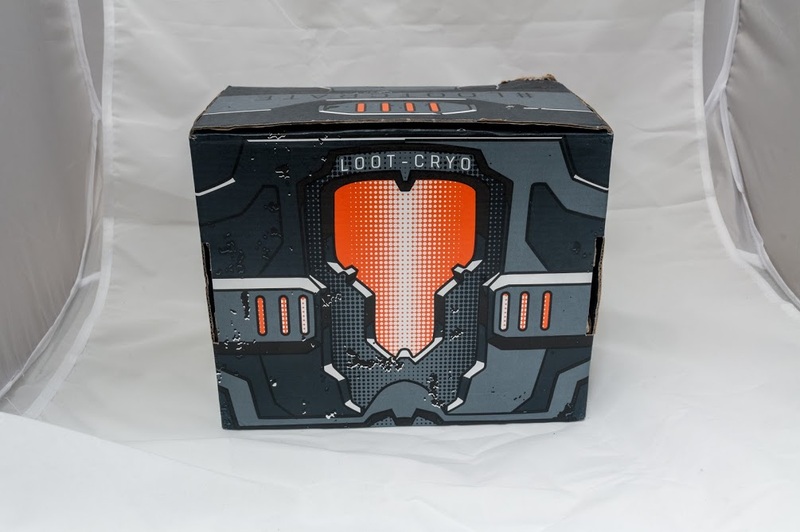 Taken from the Loot Crate site, “Each month, Loot Crate™ ships a themed mystery box of the best geek, gaming, and pop culture gear to a subscriber base of over 100,000 Looters. 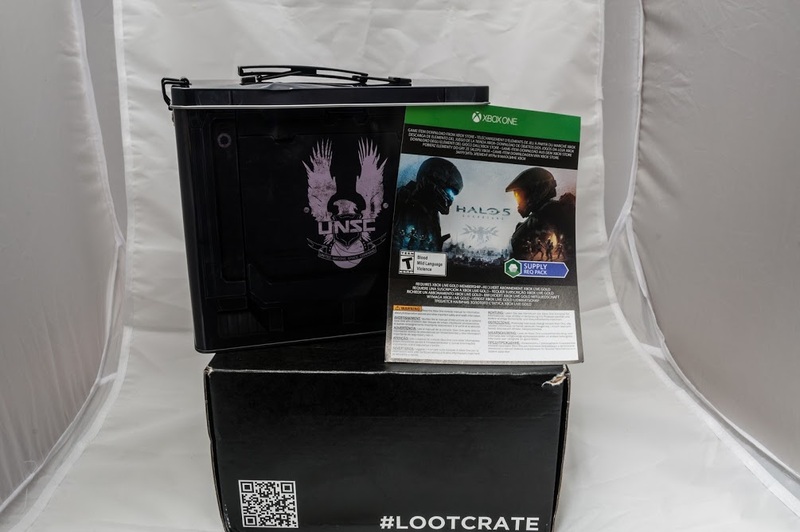 We emphasize phenomenal support and content, and include gear from some of the most respected entertainment and consumer product companies in the world.” Loot Crate sells for $13.95 a month plus $6.00 shipping and handling. You can save on the costs by subscribing for longer periods as well. If you like this theme check out the link at the bottom to subscribe.This month’s theme was Galaxy with items from Star Wars, Halo and Galaxy Quest. Also included will be a T-shirt and Funko Pop vinyl. 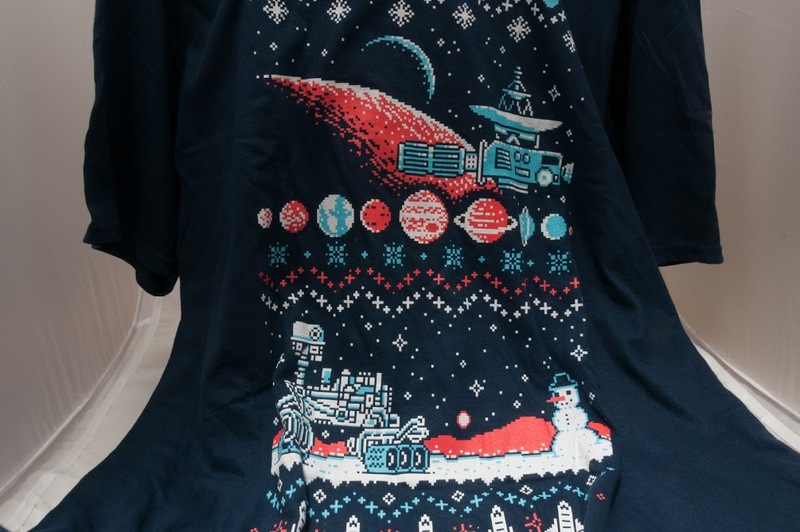 This month’s shirt is an “Ugly Christmas sweater”. The people at Loot Crate made a space exploration 8-bit design to commemorate all the achievements from NASA this year. My inner astronomer is happy. Next up is a cool Halo 5 tin and a dlc pack. I haven’t played the recent Halo games with my last game being Halo 2. This is because I can’t afford both consoles and I don’t think I’ll give up my Play Station any time soon. I like containers since I always need boxes to store my hobby stuff. This ammo box tin will be put to good use. It did come with a few dents in it but it’s not a big deal. As for the dlc code, I’ll give it to whoever wants it. First person to comment at the bottom will get it. Also included were some sweet BB-8 socks and a Galaxy Quest patch. 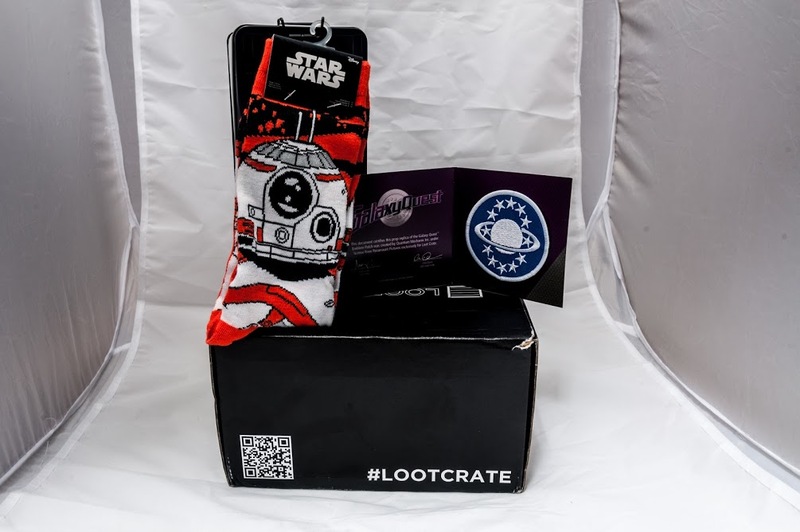 I’ve liked all the socks that were included in past crates. These BB-8 socks will go well with my others Star War apparel. The Galaxy Quest patch is a prop replica from the movie and is also a Loot Crate exclusive. I can probably add it to my Wargaming bag. 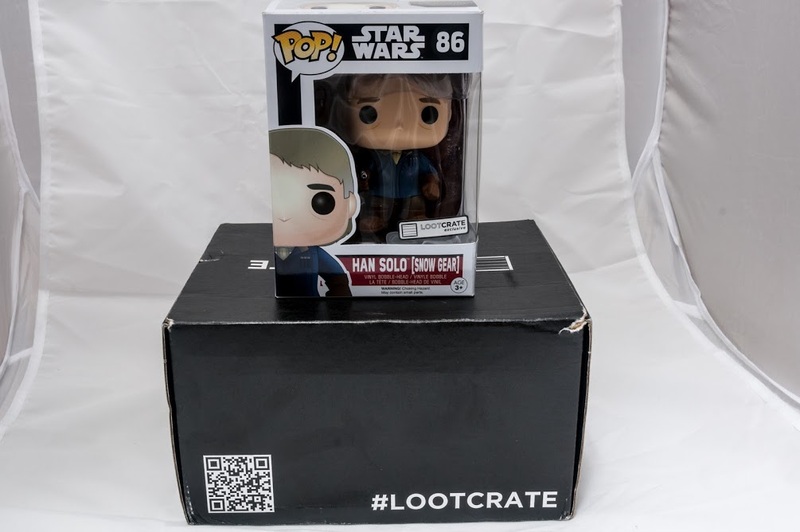 The exclusive Funko Pop this month is Han Solo! 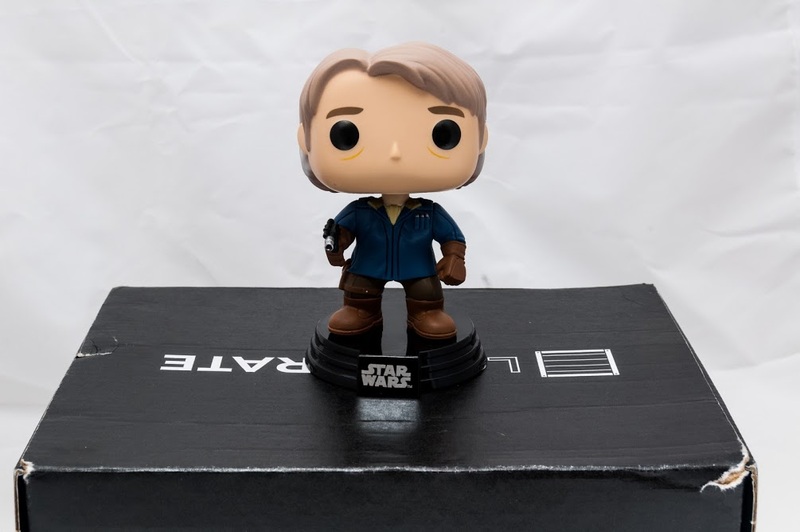 This is from the Force Awakens line which means this is older Han. I do not own a Star War Funko bobble head, and I’m glad this is my first one. This is definitely going on my desk. The box turns into a “Cryo Capsule” with a QR code at the bottom. The link leads to a sliding puzzle game that you can play. If you complete the puzzles you get a downloadable poster of the ship you repaired. 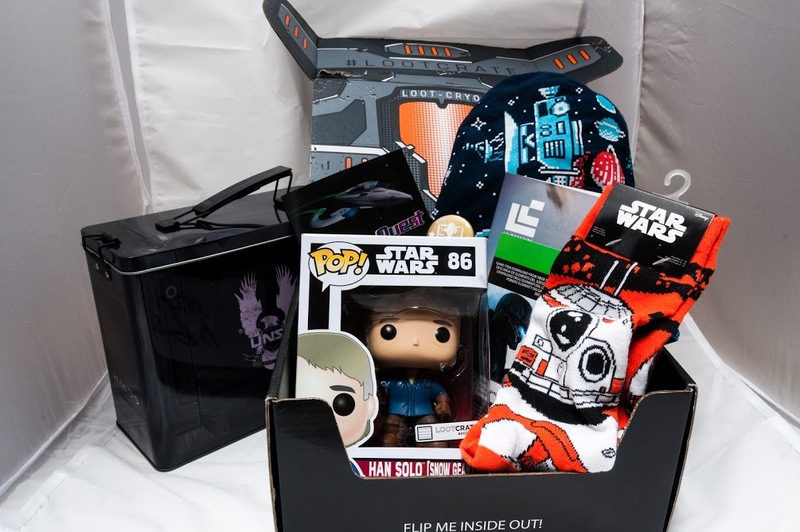 Loot Crate did a great job with this month’s crate. They had great items with the Han Solo bobble head, BB-8 socks and the ugly sweater space shirt being my favorites. In the magazine Loot Crate announced that they are including shirts in every 2016 crate. I liked most of the shirts this year and I’m excited for next year. If you want to sign up use this LINK, also use the promo code BOX5 to save $5 off your first subscription. If that code doesn’t work you can use SAVE3 for $3 off any subscription. I also get credit towards more Loot Crates if you use the link. If you have any questions, leave a comment at the bottom and if you play Halo 5, leave a comment for the code.